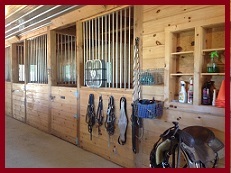 Facilities: 5 box stalls and 1 large turn out. Easy turn around. Outside wash stall. Partial RV hook up. Hotel , stores & restaurants just minutes away. Small quantities of hay for sale if needed. 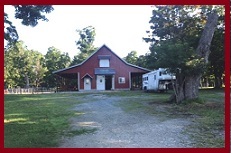 Facilities: 2 acre pasture with paddock and 8' x 16' shed attached, so there are options for being shut in the shed as a stall, only having access to the shed and paddock, or having access to the whole area. Space for parking trailers on the property. Bedrooms and bathroom available to rent in guest wing of house for humans as well. Use of 70' x 140' indoor arena for additional fee. Location: Located in the Upper Valley of Vermont, 2 miles off Rte. 91, one town away from Dartmouth College.